creation of territorial industrial complexes with closed circuit flows of raw materials and waste within the complex. Preventive avoids corrective principle. It costs much less to prevent environment pollution than to relive and correct its consequences. Principle of integrity. Consumption of natural resources requires a comprehensive approach that does not create new problems while solving old ones. Toxic rate of resulting waste. GlobeCore produces advanced modern technology for the processing of used oil that follows the principles the listed above. GlobeCore oil purification units provide for regeneration of transformer oil, industrial oil, turbine oil, gear oil, and other types of oils and fluids. 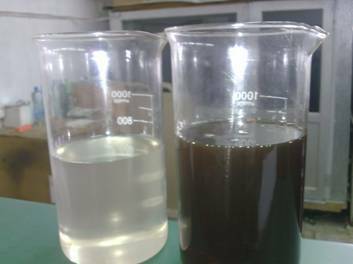 The performance characteristics of used oils are restored to their original new like condition. Additionally, such technology reduces the need to buy replacement oil and eliminates the need to dispose of used oils and fluids. Another benefit of GlobeCore technology is that the units do not produce any hazardous waste during their operation. Other companies still produce equipment that requires frequent changing of sorbent materials which inturn requires more procesing time and generates its own hazardous waste. This obsolete technology is more expensive to operate and sharply increases labor costs. The advanced modern GlobeCore units use a Fuller’s Earth sorbent material that can be reactivated directly in the oil processing unit eliminating the need to slow or stop the cleaning process. The sorbernt in the GlobeCore units will last up to 300 regeneration cycles over a 3 to 4 year period and can disposed of as non-hazardous waste before needing replacement. GlobeCore is able to offer highly-efficient and eco-friendly solutions to the problem of used oil reclamation with the CMM-R line of regneration equipment.